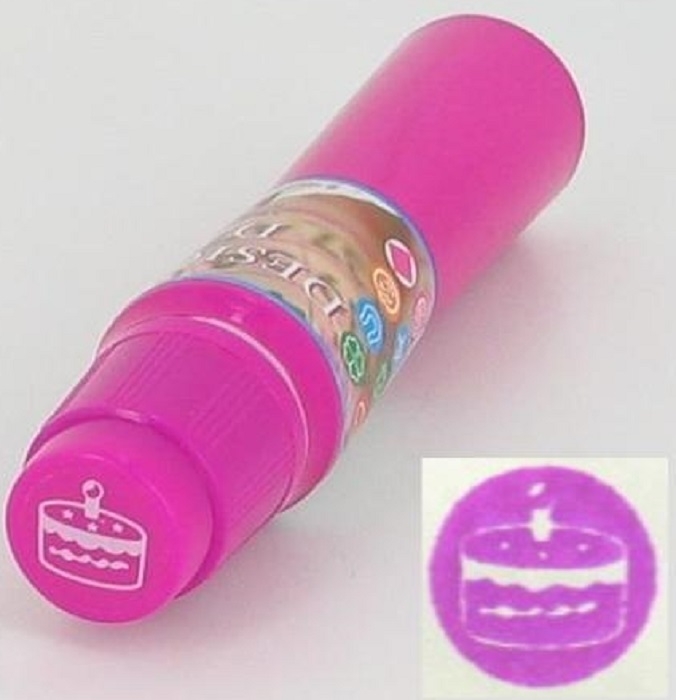 Bring some luck to your Bingo game with these Magenta Birthday Cake Imprint Bingo Daubers! Tip is specially designed to make an imprint of the cake! If you or someone you know is celebrating a birthday these imprint daubers are a perfect way to show your fellow bingo players that it's a special occasion. Easter Chick IMPRINT Bingo Dauber - 2 oz Bunny Ears Imprint Blue Bingo Dauber - 2 oz Superman Bingo Daubers - 3 oz Elvis "Portrait" Bingo Daubers - 3 oz.